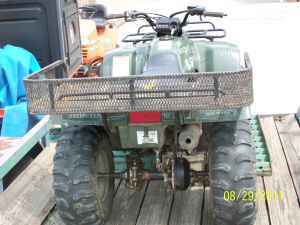 The full sized used, 2000 Honda FourTrax 300 4x4 for sale is a 4x4 utility ATV that has a a powerful engine that cranks right up and ranks high for performance whether you are hunting, using it on the farm or just out having fun! 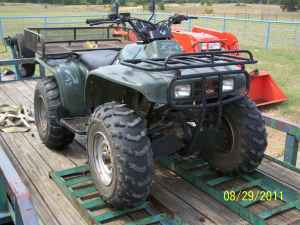 It has has a 2inch lift, 26 inch ITP Mudlite tires and rim snorkled with a boss stero runs great needs absolutely nothing with brand new 2000lb atv winch still in box and is a ultimate fun bike in mud and water. If you are in the vicinity and would like to make an appointment to take a look or have questions call me using the number below and when you do; don't forget to mention that you found my ad on GoGoCycles Used ATVs (and PLEASE do not neglect to include your contact information in your email or to provide a phone number or email address!) so that I can respond with answers to your questions or after consideration of your best offer as quickly as possible. 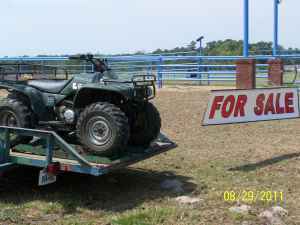 You won't find a nicer used Honda for sale in east Naples FL Florida, on Craigslist or in an Ebay auction so hurry and make an offer before it gets away from you! GoGoCycles would also encourage bikers to submit a review of the 2000 Honda FourTrax 300 4x4 to make the biker community aware of any problems that are commonly associated with the used Honda Four Trax or to highlight its positive features and help potential buyers make informed decisions. 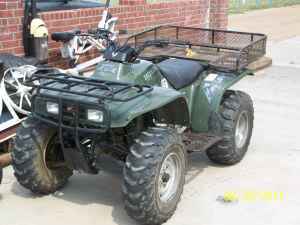 The value I place on this used, Honda ATV for sale is $2800.00. Email regarding the Four Trax and please mention that you found this ad on GoGoCycle's Used Motorcycles and Parts for Sale www.gogocycles.com when you call.